What is the best way to get the next 50hp? Turbo is not an option yet, I need more cash and knowledge before i start that project. Since money is a premium I would hold off on the internals until you are ready for the turbo, or something breaks. Not in any particular order header, intake, exhaust. How much should i gain, from headers, 2,5" exhaust and new air filter? I'm not quite shure what "60mm tb", crane 14's are. Could you throw up some links to them, or explain what they are. And where can i buy them, modernperformance?? www.modernperformance.com for the crane cam 14's and the 60mm throttle body. www.summitracing.com also supplies a few neon parts. It sounds like you have the 1.8l sohc engine, so it's going to be a little tougher. Over the sea here they even made a 150hp sohc in the second generation neon. It's going to take a good amount of money to get 180hp. 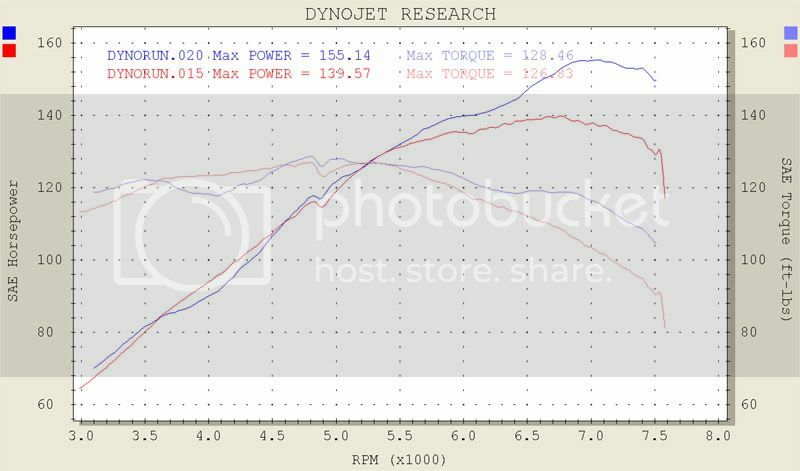 This is a dynograph of a sohc with that much power. 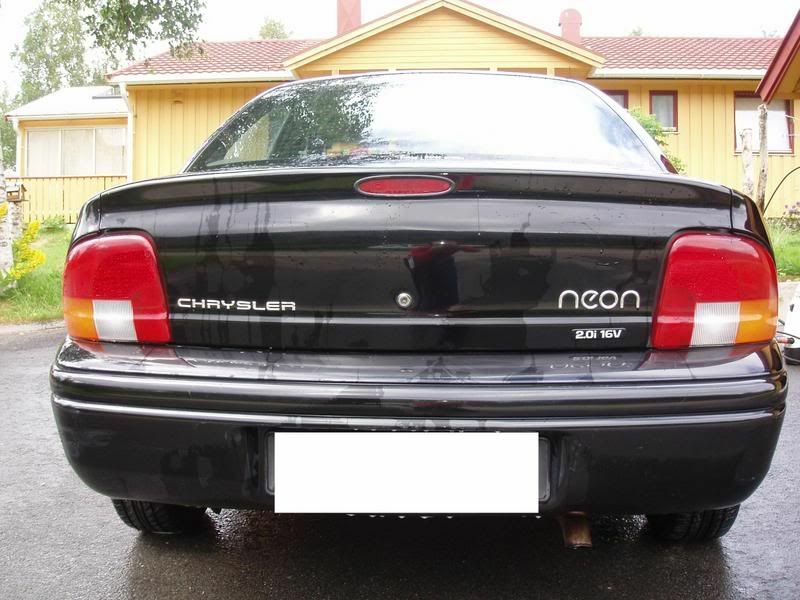 Neons have something like a 15% drivetrain loss, so it's showing how much power after that loss. The magnum engine has a better camshaft, intake manifold, more agressive programming, cylinder head with much improved exhaust ports and exhaust from the cylinder head to the tail pipe/muffler. In this dyno it has an even better throttle body, intake manifold, pcm, header, exhaust, added are also an underdrive crank pulley and cold air intake. For the 140 whp run, that was with the camshaft from a 2001 magnum engine. For the 155 whp run that is with the crane #14 camshaft. For you to come close to this setup, it will easily cost $2500 USD before shipping for you to duplicate, and that is with still using your 1.8l block/pistons/rods/everything from the head gasket down to the oil pan. As you can see, that's a lot of money for 180hp when you can spend about the same on a turbo kit and have much more potential and torque! fusion210 wrote: It sounds like you have the 1.8l sohc engine, so it's going to be a little tougher. No i don't have the 1,8l I have the 2,0 16v. read the post before you answer it. So if i understand you right "chrono_killa". Ports are ground out right to the edge of each rubber gasket. Also blended back in a couple of inches. Injector bumps removed completely. Runners extend thru the PVC tube about .350". Why? No real reason other than cuz I wanted to do it that way. Ends of each runner are ground on an angle on the inside to a sharp edge. For all practical purposes, the runners are 7.5" long on the outside edge of the turn. I did, but I was tired from working on my own car and enjoying a beer or two. I hope you found the rest of the information useful. I was thrown off by your '100ecu' which I've never heard of and just assumed you had the lower output (1.8l) sohc engine. pettersen wrote: So if i understand you right "chrono_killa". I'm selling a spare DOHC mani ... pm if need one.